Do you know these Carmelite saints and blesseds? November 13 is the first anniversary of Contemplative Homeschool. The 14th is the Feast of All Carmelite Saints. To celebrate, I’d like to introduce you to a few Carmelite saints and blesseds you may not know. 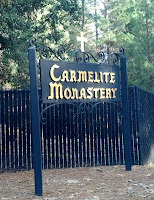 In the future, I hope to delve deeper into the spiritual insights of more Carmelite saints on my blog. Blessed Elizabeth of the Trinity Elizabeth Catez was born in 1880 in France. Her father was in the army. He died when Elizabeth was seven. She, her mother, and sister moved to a home in Dijon that overlooked a Carmelite monastery. When Elizabeth made her first Communion, the mother superior told her that Elizabeth meant “House of God.” That impressed the young girl. It became the central idea of her spirituality–the realization that the Holy Trinity lived in her soul. She made a private promise of virginity at age 14 and entered Carmel at 20. She spent only five years in the cloister before her death from a prolonged illness in 1906. 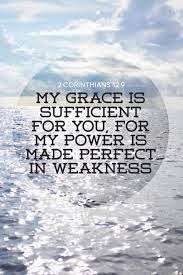 Jesus loves us MOST when we are weak. At the Secular Carmelite retreat I went to last weekend, I heard a message I didn't expect and it has changed the way I'm hearing scripture, liturgy and homilies. I have different ears somehow. The topic of our retreat was, "Rediscovering the Riches of Divine Intimacy," with retreat master Father Robert Barcelos, OCD. I had been wondering how to grow in intimacy with God, pondering how it was that I had been feeling stuck for so long and even having a hard time following through on my prayer commitments. Father Robert said that Jesus loves us MOST where we are weak. He doesn't love us DESPITE when we're weak, but loves us MOST when we are weak. It's his preference. Whenever Jesus picks a place of encounter, it is in a place where life is messy, shameful or overwhelming for us. Mary pondered all these things--do you? There are many types of devotion to Mary. Carmelites honor Mary by imitating her. In particular, they imitate her way of meditating on the great things that God has done. Luke’s Gospel tells us twice that “Mary kept all these things, pondering them in her heart.” She was the first contemplative Christian. What did she ponder? What God had done for her, and what He was doing in and through her Son. Here are some concrete ways you can live a more contemplative life, following Mary’s example. I belong to the Carmelite Province of the Most Pure Heart of Mary. They have recently revamped their website. It still has some kinks, but it is very attractive and informative. This link is part of their prayer page. It is an inspiring essay on beauty as a way of access to God. Enjoy!